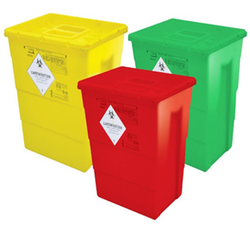 Leading Manufacturer of color coded biomedical waste bins, biomedical waste bins, bio medical waste bins, without wheel dustbins, waste container for hospital infectious waste and open plastic bin from New Delhi. Solidity & resistance against shock at both low and high temp. 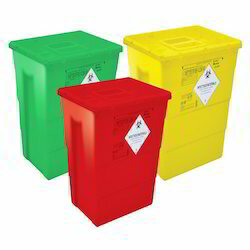 The bin comply UN &b NFX standard of safety. 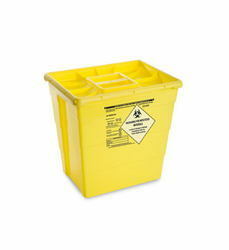 We hold expertise in offering a wide gamut of HDPE Bins that is in strict adherence with the high quality standards. 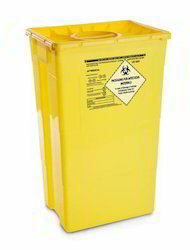 Widely used in places like hospitals and nursing homes, these dust bins can be availed in various diameters. These products are widely demanded and appreciated by the large number of patrons due to its optimum features. 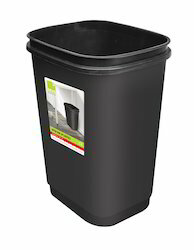 In tune with advanced market developments, we are providing an exclusive range of Without Wheel Dustbins. These products are available in several specifications, manufactured using high grade approved raw material with the help of the latest machines and tools. The products offered by us are used in Hospitals, industries, households, public places & many more areas and are highly demanded in the market. Apart from this, our clients can avail these products from us at market leading prices. 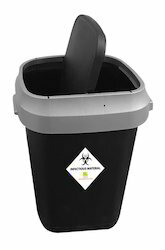 For Safe Disposal of Hospital Infectious waste/ Body Parts/Placenta .Extremely solid and shock resistant at both high and low temperature . 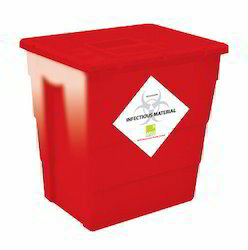 For Safe Disposal Of Placenta /Body Parts/ Infectious Hospital Waste. 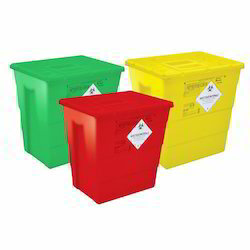 We are engaged in providing the wide range of Open Plastic Bin to our valuable customers. For Sage Disposal of Placenta/Body Parts/ and other infectious Hospital Waste. 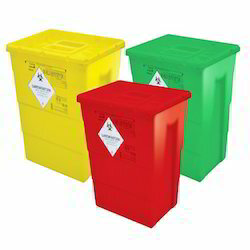 Color Coded Bio Medical Waste Bin Without Foot Pedal.